Leupold is an family owned American company that has been designing, machining, and assembling precision optical instruments for over a hundred years, Leupold scopes and binoculars are considered to be some of the finest in the world. The series of Wind River binoculars from Leupold was first introduced in 1994 and is made up of binoculars that have been optimized for the outdoors and nature watching. From 2001 this series has also been known as the Green Ring Series. I have not been able to verify which, but at least some Wind River products are not manufactured in the U.S. This has basically been done to minimize costs. Leupold reckon that in order to manufacture a pair of comparable binoculars in the U.S, they would have to sell the product for roughly twice the price. There are a number of binoculars that lie within the Green Ring / Wind River series and each are available in multiple configurations, these include the popular Cascade, Cascades, Olympic, Mesa, Yosemite, Katmai, Mojave, Acadia and Pinnacles binoculars. 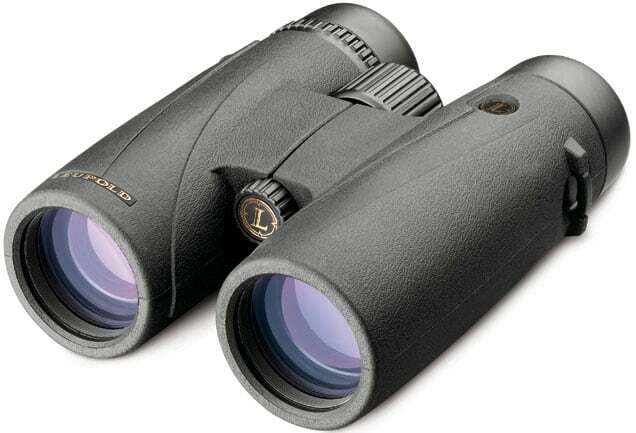 Featuring a very modern looking top hinge shape, the new Leupold BX-2 Alpine binoculars are priced at the super competitive mid-level end of the market and as such aime todeliver a really high level of functionality and performance, but at a reasonable price. 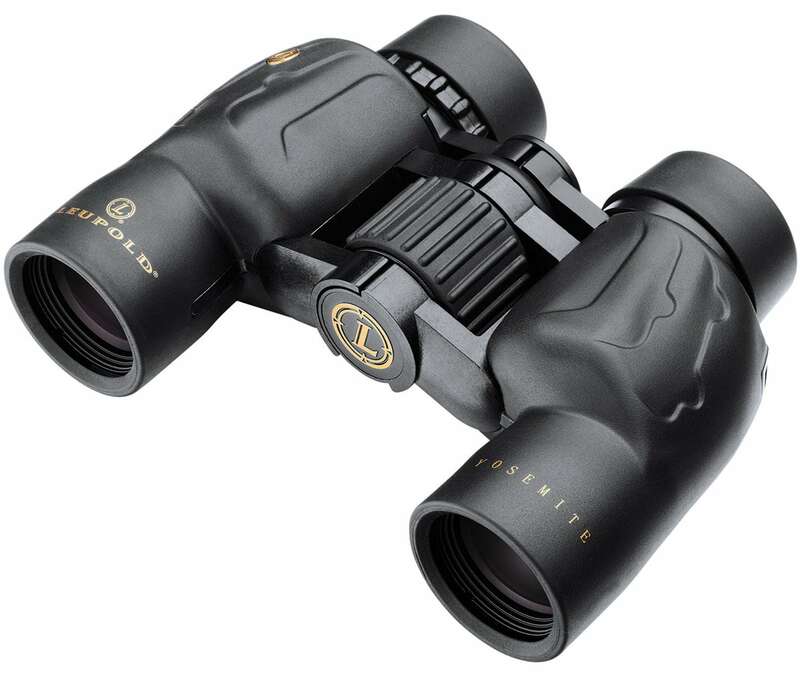 Leupold "Twilight Max HD Light Management System"
All the binoculars in this series feature an open bridge design that is both lightweight and ergonomic. The rubber- coated body is rugged, waterproof and fogproof and all BX-3 Mojave binoculars are covered by Leupold's Limited Lifetime Warranty. On the inside, features include cold mirror coated roof prisms combined with a fully multi-coated lens system for excellent brightness, resolution, true to life color fidelity as well as excellent contrast in all lighting conditions. Not only are these semi-compact, mid sized porro prism Leupold BX-1 binoculars ideal for those wanting to travel light or save space, but they are also ideal for older children, young adults and some women with smaller hands and faces. This is because not only is the whole body smaller than a standard full sized bin, but they are also able to adjust to a narrower interpupillary distance (IPD) to accomodate a shorter distance between the eyes than most full sized bins. The Leupold Pinnacle Green Ring full size roof prism binoculars come with fully multi-coated lenses, phase coated prisms and are both rugged and waterproof. The slim design, combined with retractable contoured eyecups and generous eye relief, make any pair of Pinnacles a pleasure to use. 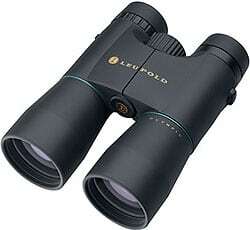 Designed for general birdwatching, wildlife observation and other outdoor activities like hiking and camping. Fully multi-coated lenses ensure maximum brightness, clarity, contrast, and color fidelity. Generous eye relief (17mm on the 8x42 and 16.5mm on the 10x42) for comfortable extended viewing, even with eyeglasses. They have a list price of between $600 and $650, but I have often seen them listed on Amazon from about $400 - $500. The Katmai series offer you a high performance binocular in a compact body that you can take anywhere. Unlike any other compact binoculars, which use small objective lenses and eyepieces, the Katmai features full-size eyepieces, 32mm objective lenses, and phase and L-coated prisms. They all work together to give you an image with exceptional brightness, clarity and vivid, true colors. Katmai binoculars are incredibly comfortable to hold, small enough to fit a cargo pocket, fully folded down, Katmai binoculars are about 4.5 inches wide and 4.25 inches long, yet they are still powerful enough to be your full-time optics. 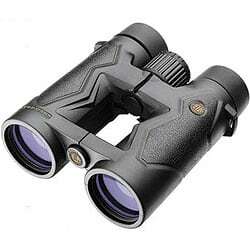 Due to their compact size, these binoculars make ideal travel companions and as such will make excellent safari binoculars, but are also great as general use, birding, stadium and sporting events binoculars. 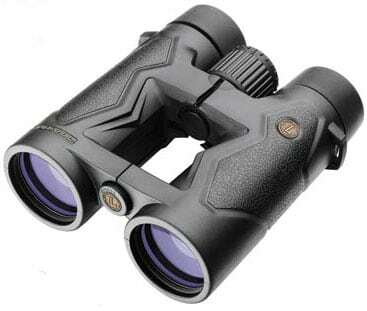 Quality full size roof prism binoculars at an affordable price. These Leupold Green Ring Olympic Series binoculars deliver the kind of performance that you would only expect to find on far more expensive binoculars. The Wind River Olympic binoculars are lightweight and have phase coated prisms and fully multi coated lenses that produce excellent color fidelity, brightness, and clarity. 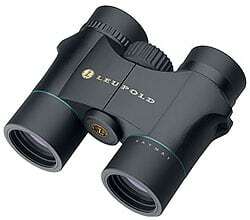 These make ideal general use, wildlife observation and bird watching binoculars. Phase coated prisms work with the lens system to further enhance the view. The 10x50's also come in a Cammo finish. Depending on the model, they have a list price of between $420 and $530, in reality, you can find them for sale at much cheaper prices, usually between $280 and $370. 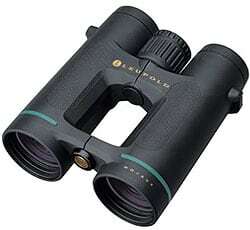 Excellent value full size binoculars. The Wind River Mojave open bridge design gives you a comfortable to grip, but helps to keep the weight down. (The 10x42 Mojave weighs 23oz, compared to 25oz for the 10x42 Pinnacles and 27.5oz of the Swarovski 10x42 EL's) This body design combined with quality optics should impress even the most serious binocular users. Cold mirror coated prisms combined with a fully multi-coated lens system give you peak brightness and resolution, true to life color fidelity, and exceptional contrast, in all light conditions. Any Mojave binocular is rugged, waterproof, and dependable, ideal for general use, birding, hiking and wildlife observation. Depending on the model, they have a list price of between $450 and $560, but in reality, you can find them for sale at much cheaper prices, usually between $320 and $370. 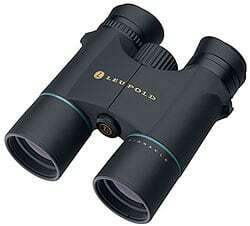 Excellent value full size binoculars. New: Leupold Introduces Lightweight BX-3 Mojave Binoculars - Details of the introduction of two new models to the Leupold BX-3 Mojave Binoculars Range. Includes main features, specifications and where to buy. 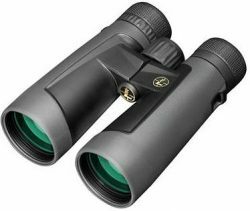 New: Leupold BX Binoculars - Written when they were first realeased, this is a guide to the new BX binoculars from Leupold and includes details of the BX-3 Mojave, BX-2 Cascades, BX-2 Acadia, The BX-1 Yosemite and the BX-1 Rogue ranges. Cashback offers on selected Leupold BX Binoculars - Details of the $30 cashback offer with a purchase of any Leupold Cascades Binocular and the $50 rebate with the purchase any Leupold Mojave binocular.